...was Saturday. I'm mortified to have missed the event and hereby make amends for my unconscionable oversight. However, I believe that I've aptly expressed my appreciation for the little critters over the years. 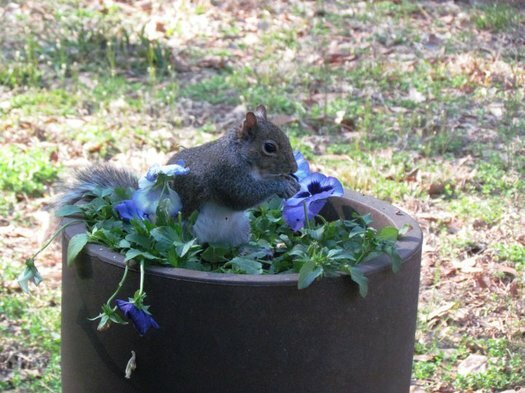 Here's a snapshot of the flower pot outside our house in Georgia on a typical day last summer. 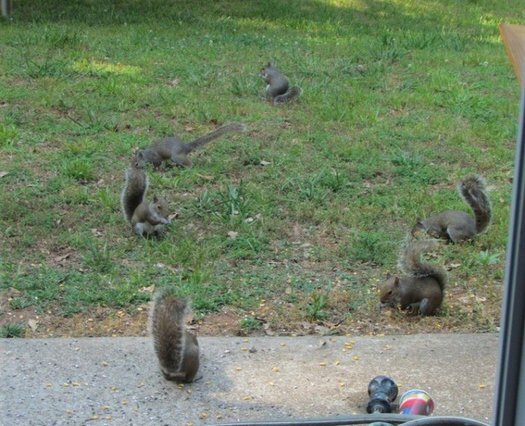 The invasion quickly escalated into a full Occupy Casa Paulette Movement, as evidenced from this view of our back yard. Of course, we may have been partly to blame for encouraging them. My realtor, a savvy local conservative, saw what we were encouraging in the back yard and warned us that Georgia squirrels are Democrats. They'd soon feel entitled to the food, housing and quality of life to which they'd become accustomed and expect us to continue paying for their leisure long after we'd moved away. 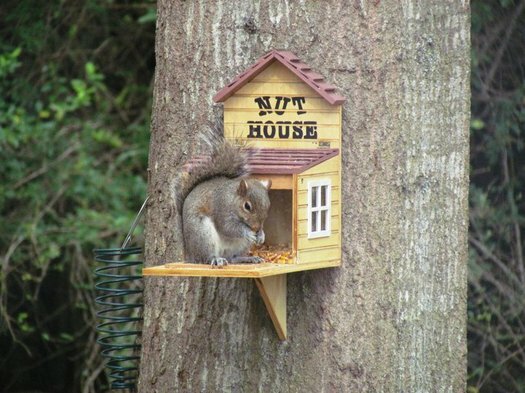 The difference between squirrels and Democrats, of course, is that squirrels are really cute.